My first experience at Brio Tuscan Grille was one of fine excellence. My friend had a birthday dinner and we were all treated like kings. My glass would be refilled before it was even half-empty, my meal came out with great timing, and that waiters were so friendly it almost felt surreal. Impressed with their lobster bisque, I was excited to return to Brio for my aunt’s birthday. Unfortunately, my next visit wasn’t so stellar. During this visit we sat outdoors and the waiter was less than attentive to our party. When we arrived to meet my aunt, the waiter never asked whether I wanted to order a drink and would slip away before I could ask about a drink. This was tolerable during the first-half of my meal, which was a lobster bisque, but it became considerably irritating when my pasta arrived and I had no drink to wash down my pasta. The lobster bisque was as amazing as my last visit. I would honestly come to Brio just for their lobster bisque. 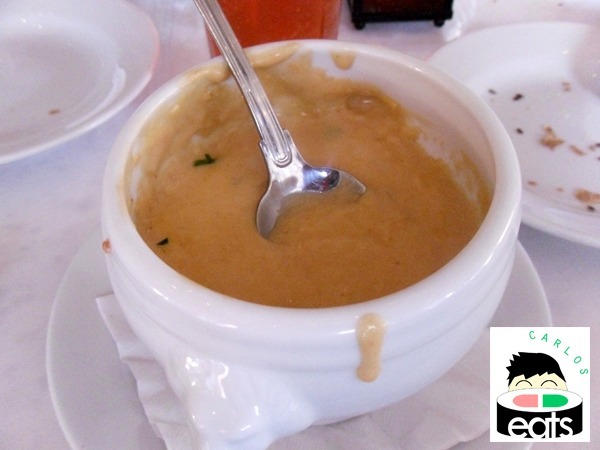 It is affordable and has that creamy and sweet consistency that makes you love the soup. The fettuccine alfredo is where the meal really took a dive. My favorite pasta is fettuccine alfredo and this was not a fettuccine alfredo. There was barely any sauce on it and the pasta was tasteless and rough, clearly under-cooked. The waiter barely returned to our table until the end of our meal for me to ask for more alfredo sauce and the main course was pretty much a disaster that could not be saved when the sauce finally did arrive. I was disappointed in the dip Brio Tuscan Grille took in both food and service during this visit. I am not sure if it was because we ate outdoors, but I would honestly never order another pasta here. 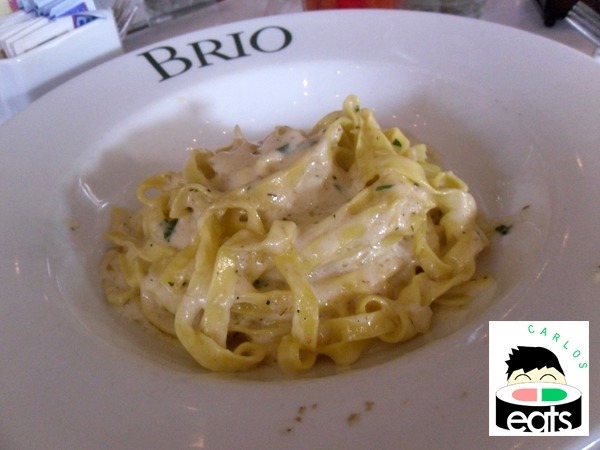 Olive Garden and Carrabba’s are far superior as far as chains go and Brio fails to even pack a punch against the amazing fettuccine alfredo at Bella’s Italian Cafe. I hope Brio will go back to having incredible service and food in the future. Maybe next time you should get your lobster bisque to go. I think friendly and quick service makes all the difference in the world. Excellent cover and article, as always! Agree. Outside of the lobster bisque, my experience at Brio was…eh. If I’m going to spend that much money on a meal, the experience and food need to show me value. I will continue to shy away from this place. Not having enough to drink at dinner happens more often then it should. I don’t understand it either because it is such an easy remedy. We went there last night. Service was good, but the food was bland and not very good. The veggies seemed like they must have been frozen, spongy carrots??? The crab & shrimp cakes (recommended by our waiter) were mostly breading & the horseradish sauce tasted like mayo. The grouper wasn’t very fresh. Won’t go back.